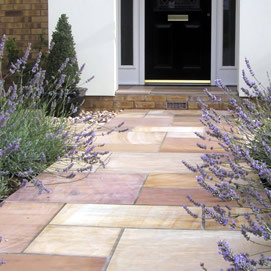 Natural stone paving enhances the outdoor space, with its warmth and natural colour variations. Unlike concrete products they retain their appeal year on year. 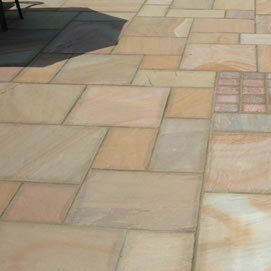 Natural stone paving is now available in a selection of textures and finishes to suit every budget. From hand cut Riven Indian sandstone for a traditional look to a polished granite for those looking for a stunning, contempory finish. 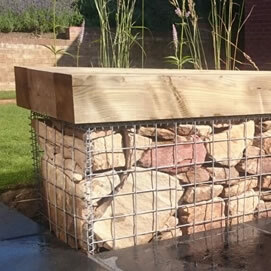 We strive to make your garden unique using construction methods such as gabions filled with local quarried stone. 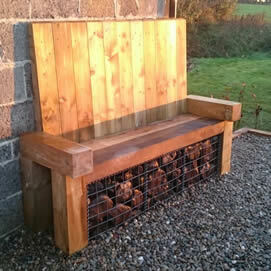 Gabions can be used in many ways, from retaining walls to somewhere to relax.